Our award winning 2017 Riesling will be released on Easter Sunday and is available for tasting at the Cellar Door. Bring your own platter and hop on down. We are open every day from 11 -5 until 29th January. 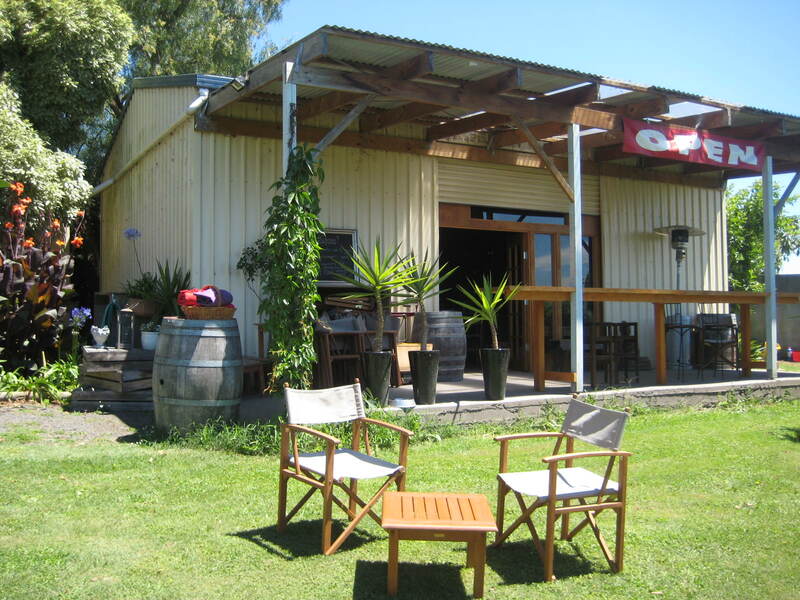 Come for a tasting or bring your own picnic and enjoy a glass or two overlooking the vines. Interested in a guided wine tasting? If you are interested in visiting the cellar door with a few friends or a few more, send us an inquiry on our Group Wine Tasting page. Mark will guide you through a tasting of our current wines, chatting about varietals, vintages and vines. We love the hills and valleys in our part of Gippsland. Next time you are in the neighborhood, call in and say hello to some of our friends as well. Have a look at our friends page for some Loch and South Gippsland escape ideas. Moo’s at Meeniyan. On offer are the 2013 Chardonnay and the 2013 Cabernet Sauvignon and either will team up beautifully with Marty’s delicious food! Check out their Facebook page for blackboard specials or the website for other menu offerings. We know we make beautiful wines in South Gippsland and it is terrific to see the quality of our wines recognised by others in the business such as The Maker’s Club. Have a look at their piece on Australia’s most underrated wine regions. We are also especially pleased to see our Gold Medal 2014 Riesling mentioned alongside one of the greats. We are open every day until the end of January excepting New Year’s Day. Drop by for a tasting, linger with a glass on the verandah or bring a cheese plate or picnic and relax for a little longer down near the vines. There’s room for reading, sprawling on a rug or a game of bocce. Opening hours are from 11:00am to 5:00pm.